The wind changed direction at the last few minutes of good light, blowing the clouds right over the church from my perspective. 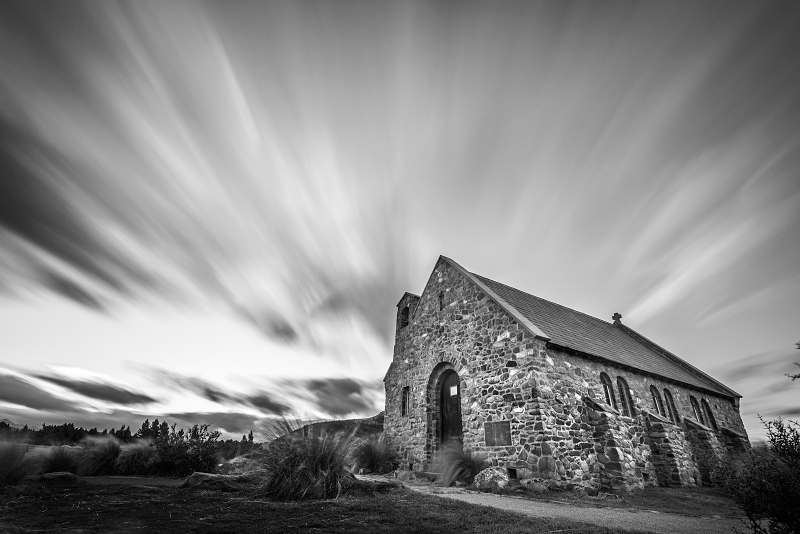 I had planned to shoot this church for months, even before I arrived in new zealand. This was the only image that I was completely satisfied with. Lovely long exposure. And the a perfect shot for b/w. I love what those long exposures do to the sky. Great use of the long exposure, nice composition ! REally nice use of long exposure. Proudly hosted by Sargasso Networks. Current Server Time: 04/25/2019 08:06:13 PM EDT.